For warmth and charm, nothing surpasses the beauty of hardwood flooring. 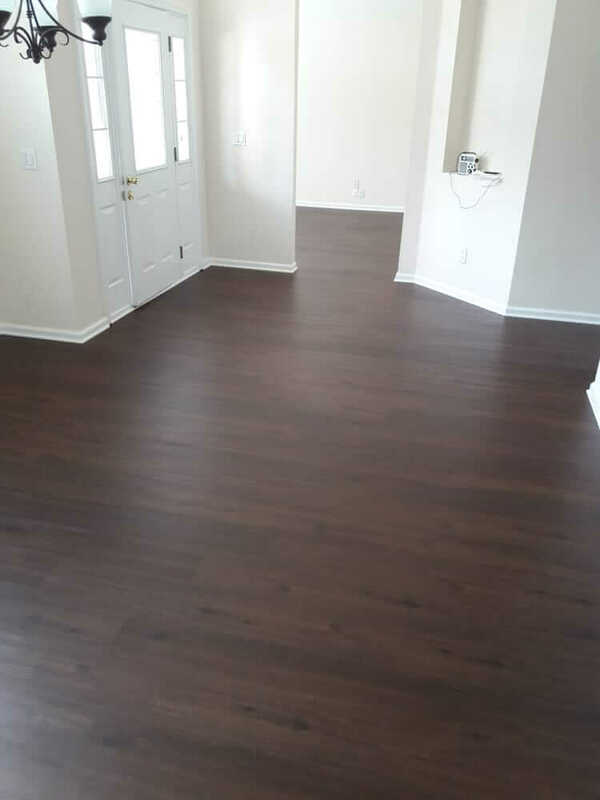 Exotic hardwood flooring such as mahogany, teak and Brazilian cherry add a look of elegance and sophistication. 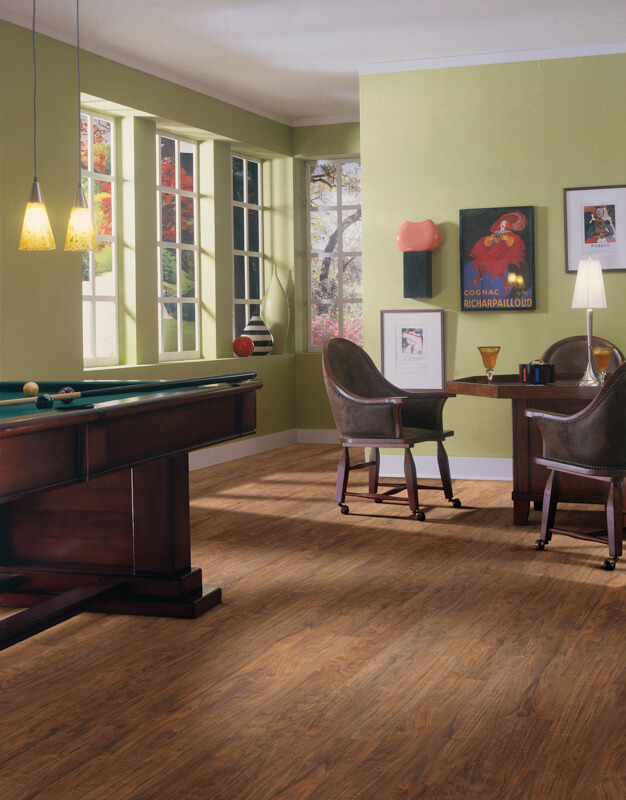 While oak, maple and hickory promote a more traditional look for your home flooring choices. 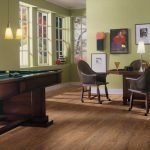 There are many green flooring options available, such as cork, bamboo, and luxury vinyl plank flooring which are both durable and beautiful. 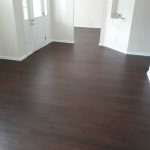 Affordable Carpet & Blinds, Inc. has a large selection of hardwood flooring samples which we bring to you, so that you can actually see and feel the product in your own environment. 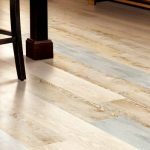 The location of your proposed flooring and the type of sub-floor determine your choice between a solid or an engineered product.Solid hardwoods are one piece which expands and contracts based on relative humidity changes. They are not recommended for bathrooms and other damp areas. Engineered hardwood consists of three to five layers of hardwood that are stacked, cross-grained and bonded together under heat and pressure. They are less likely to be affected by changes in humidity. 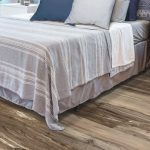 Affordable Carpet & Blinds, Inc. also offers a large selection of top quality luxury vinyl plank flooring that gives the illusion of wood but is actually an engineered laminate flooring. 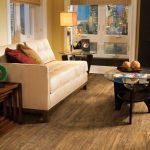 The benefits of luxury vinyl plank flooring is that it is resilient, water-resistant and an affordable alternative to wood flooring. 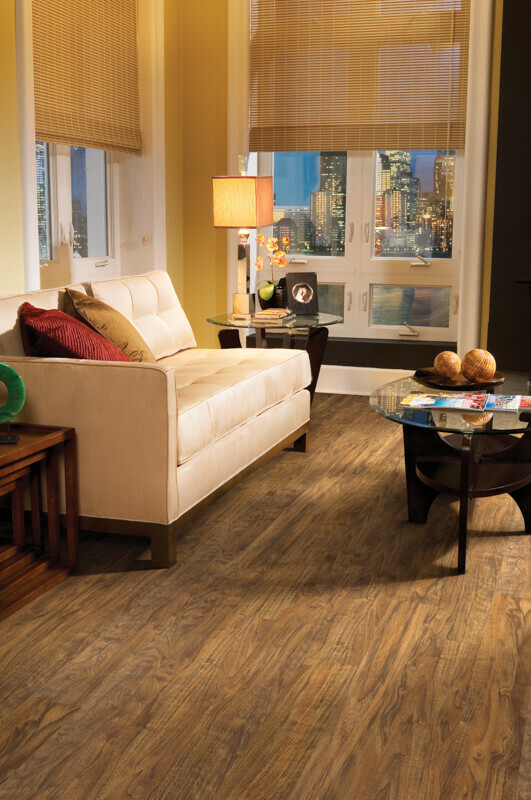 If you have kids and pets running around the house, consider installing luxury vinyl plank flooring in your home. Give us a call for details!